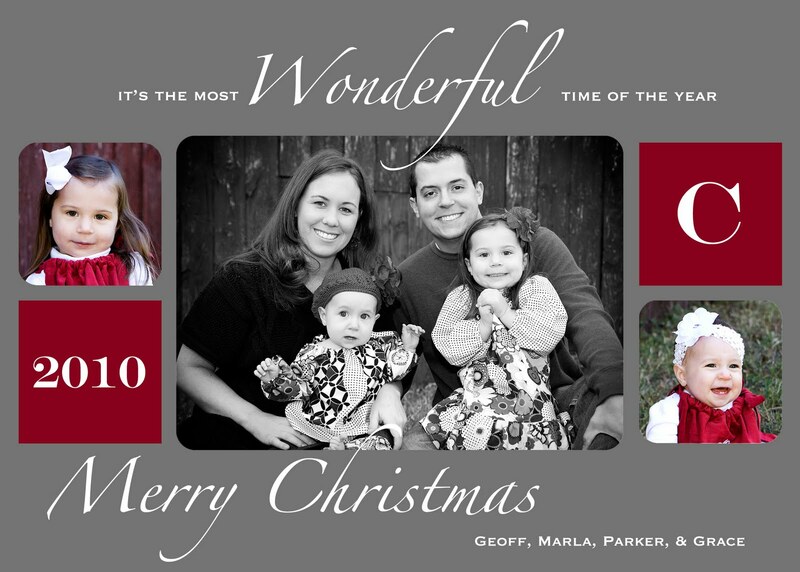 I didn't really think I'd get Christmas cards out this year. I had the best of intentions (like always) to get family pictures done in October...but my laziness and first trimester kept me from it. Then the time just flew. 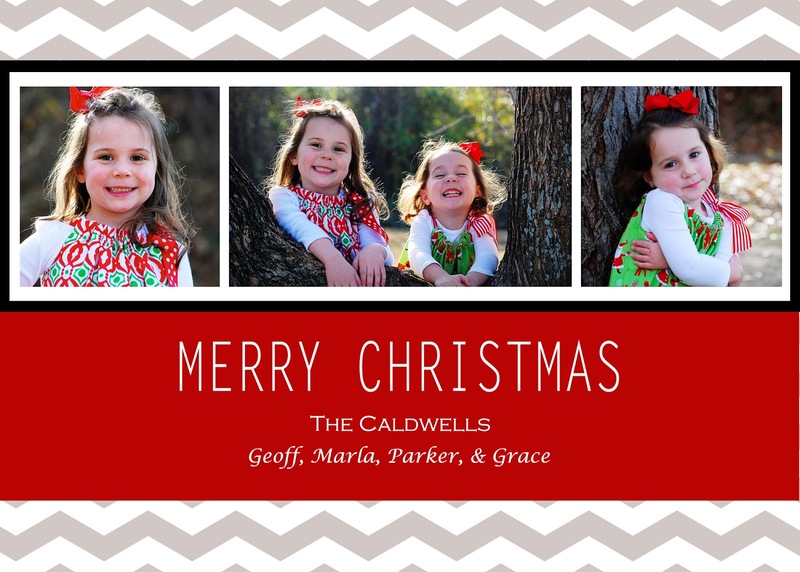 So while I like to send out Christmas cards with pictures of our whole family- this year I settled for a couple pictures of the girls. I love having a Christmas cards to look back on each year and how we've all grown. After Parker got out of school on Monday- I took them to a nearby park. I thought it'd be SO easy. Just snap few. Yeh. Not so much. But I guess I got a few and that's all you really need. 2006- Our first Christmas that we were married. 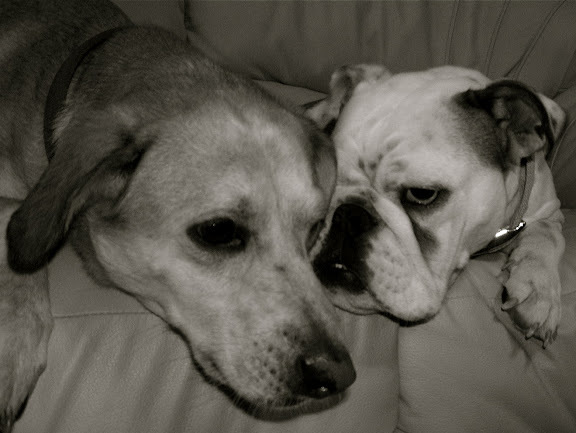 These were our girls...Lola and Lily. 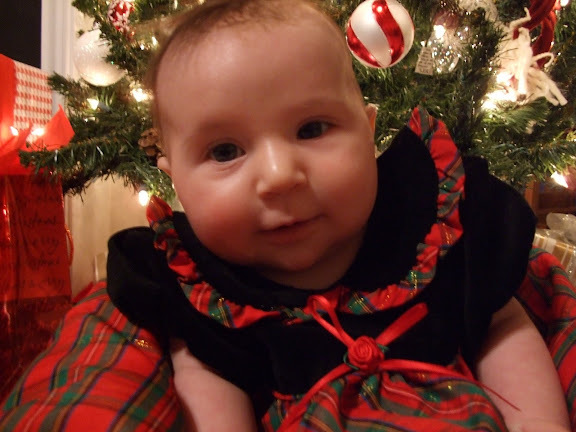 2007- Our second Christmas together.... we added our baby girl to the mix (Parker at 3 months). 2008- We decided to do a family photo along with some individual photos of Parker (15 months old). 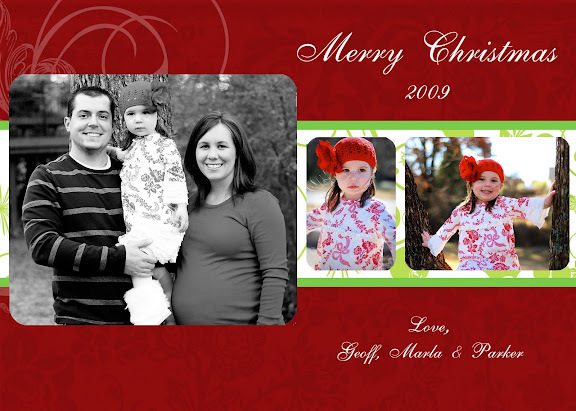 2011- We didn't send out cards. Very cute! I love your card design. I love the progression shots! I've loved every card you've done and loved this one too! Love the blog! Such great pics! Love all the cards and looking back is always so much fun! Merry Christmas!